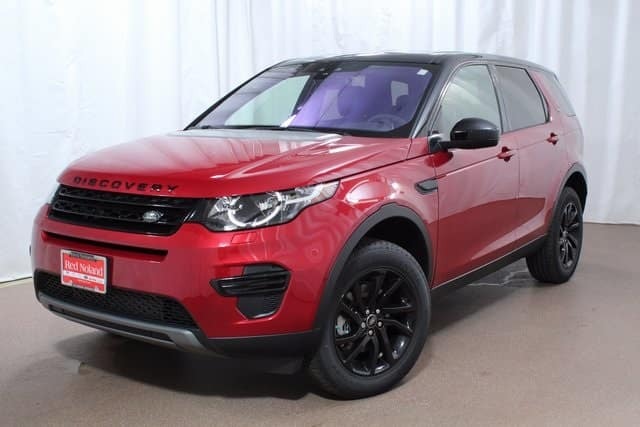 Here at Land Rover Colorado Springs we still have a small inventory of the 2017 Land Rover Discovery Sport SUV! Since we are getting our new 2018 inventory soon, our 2017 inventory is currently on special. Our whole 2017 Land Rover Discovery Sport inventory is now priced at under $50,000 each! There are many great features you can enjoy on your 2017 Land Rover Discovery Sport performance SUV. The efficient and powerful engine delivers an estimated 20 MPG city/25 MPG highway fuel economy. Features include heated leather steering wheel, Climate Comfort Package, Speed Sensitive Rain Detecting Variable Intermittent Wipers, and 9-Speed Automatic Transmission w/Paddle Shifters. Your Discovery Sport could also feature Navigation System, Surround Camera System, and Traffic Sign Recognition System. If you are looking to upgrade your SUV to a luxurious Land Rover, the 2017 Land Rover Discovery Sport is a great option! Stop in today to take a test drive. Our Land Rover experts can introduce you to the many super features that will make each of your drives an amazing one!